We are experts in thermal process applications and Epcon is ready to design and assemble your custom industrial conveyor oven. From systems with overhead conveyors, guillotine doors, wire mesh belts, and pusher-dog chain assemblies to design of racks, hanging fixtures or any number of custom assemblies specific to project demands, customers can count on Epcon to deliver both products and service that meet and exceed their expectations. 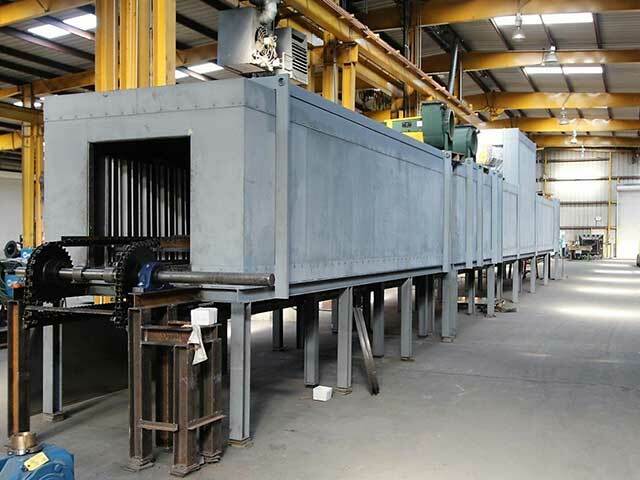 Our experienced engineers and industry-known conveyor ovens ensure consistent thermal processing times and are custom made to your desired processing envelope. Epcon’s innovative custom solutions support High volume, repeatable thermal processing insuring efficient, reliable results. Epcon’s innovative and patented Industrial Oven designs are built to your unique specifications. 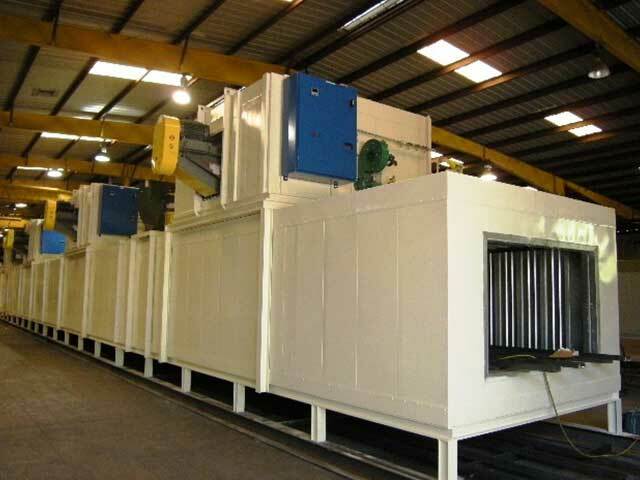 Our superior workmanship is evident in all of our custom batch ovens, powder coating ovens, drying ovens, curing ovens. Epcon is a distinguished designer and manufacturer of custom industrial ovens worldwide since 1977. Our ovens are built to comply with NFPA86 requirements and OSHA standards.